After Yahoo!’s CEO, Jerry Yang, categorically rejected Microsoft’s offer of a $US31 per share buy out strategists, pundits and techno critics waited with bated breath for Microsoft’s next move. The software leader kept the world on edge for several days before it finally announced its follow-up strategy: a proxy war to oust the board of the troubled Yahoo! enterprise in the next board election come March 13. The proxy battle, estimated at a $30million subtraction from Microsoft’s coffers, is the company’s alternative to raising the bid to the price that Yahoo! seeks. Clearly, the cost of the proxy warfare stands to benefit Microsoft and bludgeon Yahoo! as this is a far cheaper acquisition avenue than the original proposition of $US44.6 billion. What confuses most analysts is Yang’s role play of gusto in light of the absence of another offer. Microsoft is the sole bidder and offered a noticeable premium for a merger with Yahoo!. While Yang bluffs Microsoft to up the bid, key development and innovative employees are jumping the Yahoo! ship on a regular basis. Added to the exodus of staff is a slew of law suits filed by shareholders who think Yahoo!’s decision is not only a callous disregard for its fiduciary duties, but is simply asinine. Up to the time of the Yahoo!’s refusal to accept the deal, Steve Ballmer, Microsoft’s CEO, fronted the acquisition gesture, but after the struggling internet company scoffed at the offer, Chairman, Bill Gates, stepped into the ring. ‘’We sent them a letter and said we think that’s a fair offer. There’s nothing that’s gone on other than us stating that we think it’s a fair offer,’’ Gates told AP. ‘’They should take a hard look at it.’’ And so should they. If Gates decides to withdraw the offer, Yahoo! loses. Which other contender will be willing to voluntarily join the imbroglio to acquire a company tainted by a tug-of-war between its board and shareholders? 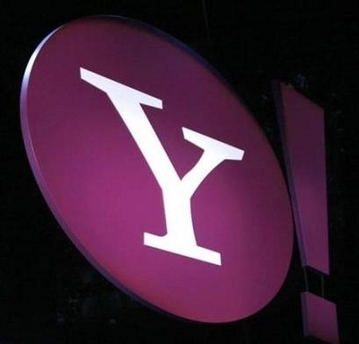 If Gates decides to bow out of the proxy war, Yahoo!’s stocks will tank. Everyone seems to see this, except Yahoo! This saga is now a cat and mouse dance in which the mouse is backed into a corner, yet the cat allows it to postulate knowing, in time, it will get tired, creating the perfect opportunity for the cat to strike. Jerry, Yahoo! is not the cat.